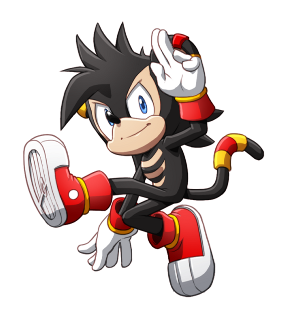 Mighty's the most carefree guy you could meet, although, he can be pretty hard on himself sometimes. His dream is to travel the world, meet loads of new people and experience as many different things as possible. An Eco-warrior of sorts, Mighty'll surely be their to protect the environment. Station Square - Call to Adventure Emerald Coast ~ Just Relax! Cosmo is a kind and gentle character. She currently owns Cosmo's Flower Emporium in Station Square. She suffers from low Self-esteem, calling herself "unworthy" if something goes wrong. Marine is a resident of the SOL Dimension with a very special secret. People around her can find her quite annoying at times, especially when she never shuts up. One day, she hopes to sail the seven seas as the captain of her very own vessel. Mighty is a very kind and gentle guy. Although, people tend to judge him on appearance. He loves to listen to other people's problems and hopefully help them out. He detests violence of all kinds, but would do anything to protect his friends. Currently, Mighty's main priority is to find out what happened to his little sister.